I bought this book--my first ever Gunsmith--and am enjoying it. Nice to know there's 399 more! Is there a Top 10 that you like? I haven't read enough of the series to venture a Top 10, but I'm really fond of the early books that are in first person. I also enjoy the ones where Clint meets historical figures like Wild Bill Hickok. But if you like one Gunsmith chances are you'll like all of them. It's one of the most consistent Western series I've ever encountered. Good review--you really summed it up. Fast-paced books that are dialogue-heavy are my favorites, and that's what Randisi writes. I'm partial to first person and loved Macklin's Women, but The Lincoln Ransom was also a compelling read that I'd recommend to anyone. 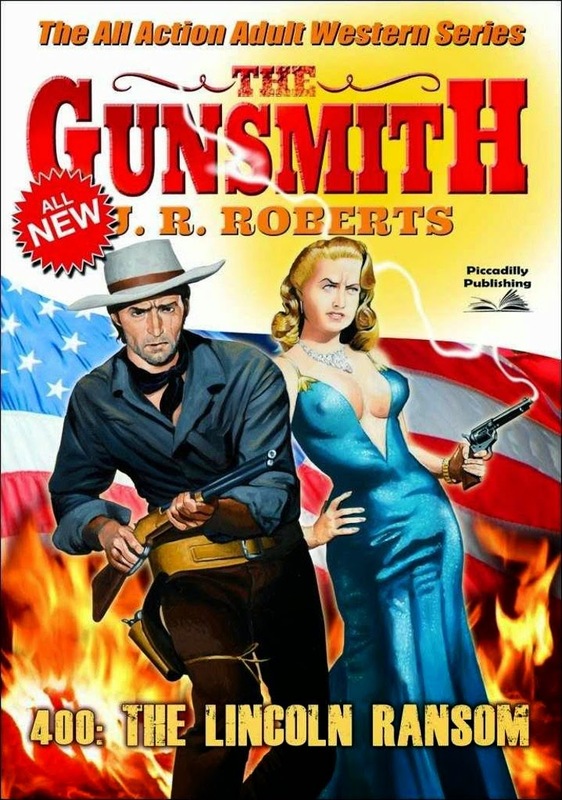 Other than #1 and #400, I've only read a few Gunsmiths so there's a lot for me to enjoy. Yep, I'm looking forward to it. I have a few books by the author and probably a couple of Gunsmith novels too. The plot revolving around the theft of Lincoln's coffin sounds very interesting and I'd certainly like to read this one as another instance of alternate history, so to speak. Have read all 400 plus 401 and All the Giants. All are action driven but personal favorites are the James West /Secret Service connection. We even got the Johnny and Jamie West connection explained to the Wild,Wild West in one book.Just wish they had gone to 400 in the original format.